We’ve heard many peculiar office stories — from a boss stealing people’s lunches to the receptionist who wouldn’t stop hugging visitors, but these are outliers; what any expat in the Czech Republic certainly will encounter at the workplace, though, are the cultural differences. What are the Czech people at work like? To understand better the typical Czech behavior at work from outside, we asked expats to share their experience at Foreigners.cz #MeetUp this January in Brno and in an on-line survey. Almost 60 foreigners left us their honest opinions about their Czech colleagues. Chart 1: “What company do you work for?” JobSpin.cz Survey at Foreigners.cz MeetUp in Brno, 2017 and original on-line survey, January 2017. 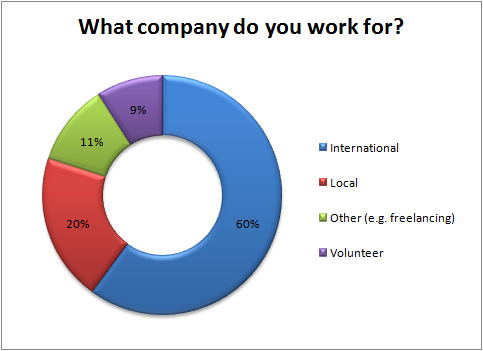 Most of survey respondents work for international companies. It’s not a surprise. Such companies appreciate people with excellent language skills. So, what are the Czech people at work like? To some, the incredible happened to be true. Most foreigners described their Czech colleagues as friendly and cool; admitting during the interviews, though, that you need to make them come out of their shells first. That’s perhaps why the second most frequent word for the Czech colleagues was closed, shy, or reserved. Lots of foreigners see their Czech counterparts at work as hard-working and helpful. Not to be siding only with the Czechs here, some expats claimed that they experienced lazy or even drunken Czech co-workers. Is loudly-blowing-nose the very first thing that comes to your mind when you think about your Czech colleagues? To two respondents it is. Besides the most frequent answers mentioned above, we had received many others. To give you a better idea about working with Czech people we prepared a short list of typical Czech colleagues based on the them – take it with a pinch of salt! Coming to the office, he doesn’t say “Hi” to anyone or if so – you might forget that his mouth can even move. No smile. Never. He’s struggling to interact with other colleagues, oh wait, no – he doesn’t care. 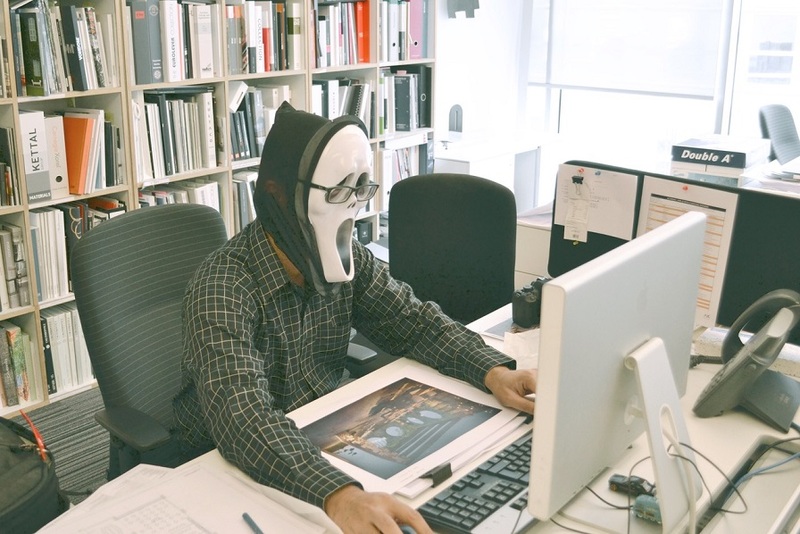 You’re losing your mind by running around the office, doing 2.385 things at one time and there HE IS – just chatting with others, no rush, there is time, no stress… you start wondering who is this guy?! – he might be one of your Czech colleagues. You lost your pen, he is there for you. You have a hard day – there is an arm that you can cry on. If there was no dress-code in the office he would probably wear the t-shirt with “I can help” on the back and “I’m Czech” in front. How long does it take to find a job in the Czech Republic? Finding a job in less than 1 month wasn’t any problem for [whoa!] 42% of respondents. 16% people kicked off their new career in the Czech Republic within less than 3 months; the time that basically matches the relocation process and fixing necessary bureaucracy. Chart 2: “How long did it take you to find a job in the Czech Republic?” JobSpin.cz Survey at Foreigners.cz MeetUp in Brno, 2017, original on-line survey, January 2017. Why do foreigners decide to move to the Czech Republic? Cheaper cost of living compared to other European countries. 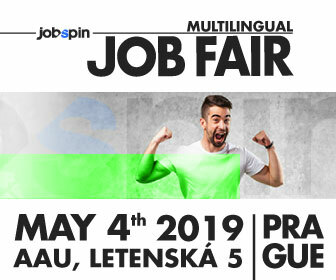 At the #MeetUp we presented our upcoming event for job-seekers – JobSpin.cz Multilingual Job Fair Brno powered by Daily Monitor. We hope to meet you all there! Save the date: February 25, 2017 at Faculty of Social Studies, Jostova 10, Brno 602 00. Thanks to all for great conversations and sharing your experience of living and working in the Czech Republic.  Article was prepared by Kamila Shodieva and Urszula Turowska.